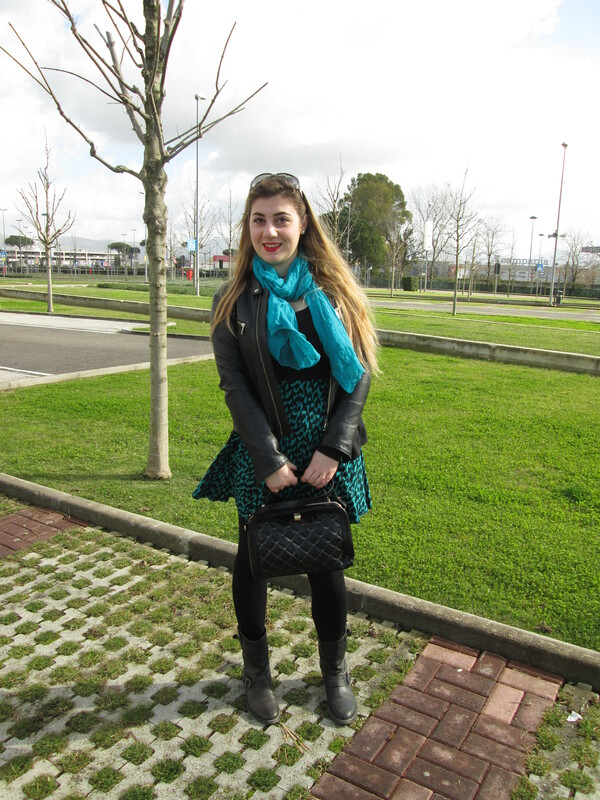 As you already know,I love leopard print without going too far.That’s why I wore an all black everythingh with this flashes of green.I rocked this flared dress and my new Blugirl Handbag with the leather jacket and the biker boots. 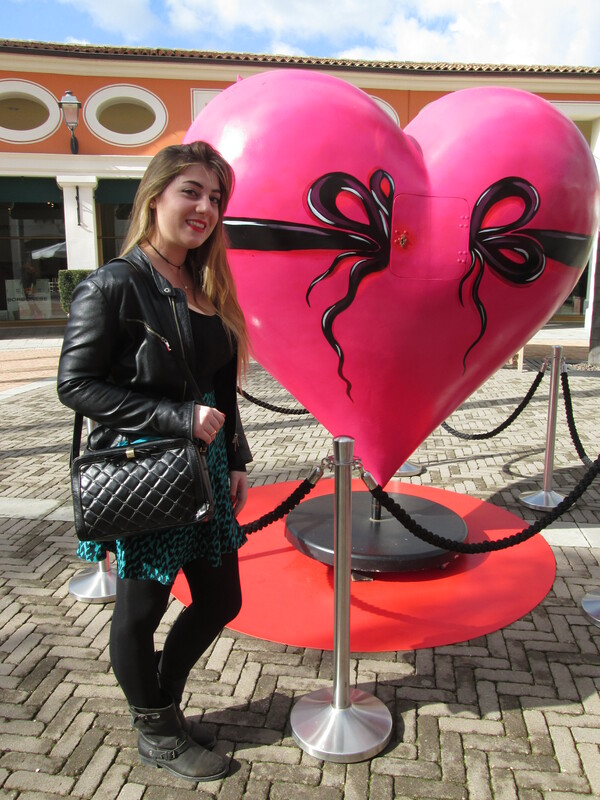 At the mall there was still Saint Valentine‘s spirit in the air and I couldn’t resist in taking a pic next this big heart! Come già sapete,adoro usare il leopardato ma senza mai esagerare.Ecco perché ho deciso per un look total black con qualche sprazzo di verde.Ho reso più rock il vestitino svasato e la mia nuova Blugirl Handbag con il chiodo di pelle ed i biker boots. Al centro commerciale regnava ancora tanto ‘ammmore’ causa San Valentino ed io non ho potuto resistere nel farmi una foto vicino questo bellissimo(e grandissimo) cuore!